Marriage, family, divorce, jahilliyya, and much much more! Come and gain as much as you can before time runs out! 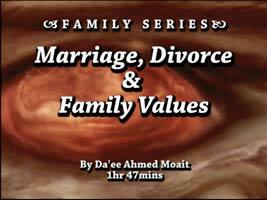 Learn about Marriage, Divorce, and the pillars of family values from the Islamic way. 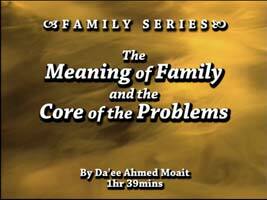 Find out what the true meaning of family is and where the core of problems that we have today are coming from. Marriage in Islam, the Nucleus of the first stage of the future of the nation and any nation, especially now in the Jahiliyya (Ignorance) and Dunya (Material Life) and the absence of the understanding of our Deen. This message is only for those who claim they are a Muslim and they believe they're going to die and meet the Almighty Allah Subhana wa ta'ala. 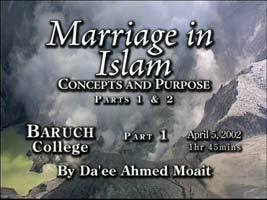 Everyone talks about marriage, but what are its concepts and purpose? Don't be left in the dark, please come watch this video and shine some light on the truth.